We are sending out the call for your submissions for our next online journal, now in its fifth year of production. We have gathered articles, stories, art and poetry from throughout the world, offering an opportunity to learn about the healing work of storytelling in its varied forms and among different cultures. By producing the journal online, we are no longer bound by costs for printing/mailing/storage and can offer recordings and colorful images as well. 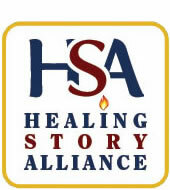 Write and tell us about your experience working with healing story, whether you work alone or in collaboration. We are seeking articles, written or spoken stories, poetry or art – even interviews with storytellers whose work inspires you. Remember that our definition of healing can include any or all of the following…physical, emotional, mental, or spiritual and can speak to all aspects of our life on this planet. Please take a look over our past 4 years of online journal issues on our website to get a sense of our journal. All copyrights will be listed as remaining with the author/artist. Please send copies of all submissions to our editor Mary Louise Chown at: mlchown@shaw.ca Send submissions as an attachment in Word/Microsoft Word with the words E-JOURNAL SUBMISSION in the subject line. If more time is needed then contact our editor with your ideas. The next issue will be published on the HSA website by Fall 2017.